Diaper Coupons, Baby Food, Formula & other Baby Coupons! Diaper coupons, Baby Food Coupons, Baby Formula Coupons and more! Below you'll see how and where to get Free Baby Coupons, such as diaper coupons, baby formula coupons, baby wipes coupons, baby food coupons, toy coupons and more! Get free coupons from Huggies, Johnson and Johnson, Luvs, Pampers, Pull Ups and many more. Having a child(ren) is expensive, which makes it all the more necessary to save money and to never pay full price when purchasing baby essentials. To assist you in saving money on these products, I have put together this page that contains loads of baby coupons in addition to other ways to save on these types of products. This is Page 1 in what will eventually be a Baby/Toddler Savings series. 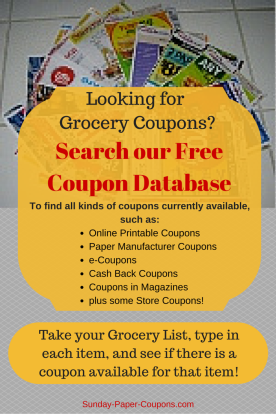 Visit this page when planning your shopping trip and print coupons that will save you a ton of money! You can also save here with online purchases (see the Online Purchases section). You may be under the impression that you can only get coupons for regular baby food and baby products, but coupons are also available for specialty products. So whether you're searching for healthy, wholesome, all natural, fresh, iron rich, kosher, vegan, vegetarian, gourmet, high calorie, natural, gluten free, frozen, organic, dairy free, lactose free, or milk free, you can still find coupons to cut your costs! Most people get the majority of their coupons from the Sunday Paper. Since we suggest that you get at least 2 papers each week, to take advantage of BOGO and other deals, you should make certain that you're spending the least money that you can for your Sunday Papers. DiscountedNewspapers.com offers discounted newspapers, including delivery at discounted rates. Simply enter your Zip Code to see the rates for your area/region. If their rates are less than what you're currently paying, then you should switch! You should also check our page of ways to get discounted newspapers. Click here to view all available Baby/Toddler Coupons currently available from Coupons.com (the largest online source for printable coupons). View and select from the Top Baby Coupons shown below, then print the selected coupons. ﻿Use our searchable Coupon Database to see all baby coupons currently available from most all sources. You can search using several different methods, for example, (1) in the Category section, select "Baby/Children," then hit the "Search" button to see ALL available baby-related coupons from all sources; (2) Type a word into the search field, such as a brand name or type of coupon (like diapers or Huggies). 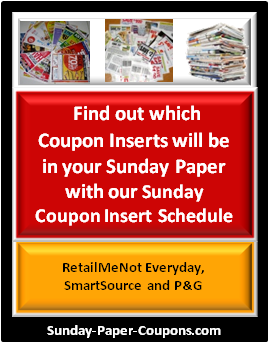 Sunday paper coupons: coupons that you can cut from an insert like RedPlum, SmartSource or P&G. Online Coupons, including printable coupons, electronic coupons and cashback coupons. 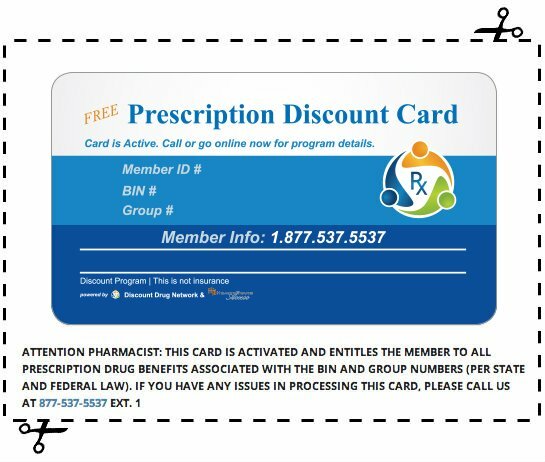 Manufacturer Coupons that are currently available on a manufacturer's website. Magazine Coupons: For example, if "All You" magazine contains a particular coupon, it will tell you which issue to find the coupon. Mail-in Rebates that are available for a particular food item. You can get discount coupons, coupons for free baby stuff, products and free baby samples by mail simply by emailing the product manufacturer directly. I've done this many times myself. Email them with a compliment, product suggestion or even a complaint (if you have one), and many times, they will send you product coupons and/or samples. Email them specifically asking for either of these items and guess what, they'll send them to you! Tell them how much you or a family member love their product (tell them which specific product), then ask if they can mail you any free samples, product coupons or discount coupons. Nine times out of ten, you'll get one or the other! For your ease, I've attached links to the Contact Us pages for some of the most popular baby/toddler brands below. Keep a log/list of the manufacturers that you contacted and the date that you emailed them, so that you don't repeat repeat (lol). While on the brand/manufacturer sites, you can also sign up for their Newsletter/Email to receive offers/coupons via email or mail. Some of these sites also offer a Rewards Program, Moms Club, Baby Club or Parent's Club and these programs and clubs often provide coupons, samples, contests/sweepstakes and information. Note: Brands/Manufacturer's of larger items, such as: strollers, furniture, clothes, etc. are not included in this list, because they would not send out free samples ☺. List of the Leading Brands of baby food, beverages, skin care and grooming, baby formula, diapers, baby wipes, etc. Note Websites, Bloggers, etc. - A lot of effort was taken to gather this information for my readers. Copying this page or these listings is strictly prohibited, but I have no problem with you referencing and/or linking back to this page. Thanks! Oftentimes, you save you can save much more money by purchasing online, rather than in-store. In addition to Sales on merchandise/products, you can also save money with (1) Cashback, (2) Coupon Codes, (3) Free Shipping, and No Sales Tax (if the store does not have a physical location in your State). When purchasing online, you should ALWAYS try to purchase through a Cashback Site. With Cashback sites, you will earn cashback (usually from 1% to 10%) with every online purchase! The most famous Cashback site is Ebates, because they are one of the first that came out, they are one of the most trusted, and they advertise Nationally. Enter the name of the Merchant/Store that you want to shop at. You will be shown the percentage of cashback that you will receive when you shop at that Merchant/Store. Click on a button to begin shopping. A new window will pop-up at the Merchant/Store's site. The difference is that instead of going directly to the Merchant's site, you will be transferred there, using a link/code that will track your purchase in order to determine the amount of cash back that you will receive. Make your purchase as usual. You can still use coupons or coupon codes at the merchant's site for additional savings. Your cashback will be deposited into the casback site account, and you can withdraw the money or have it transferred into a PayPal account.